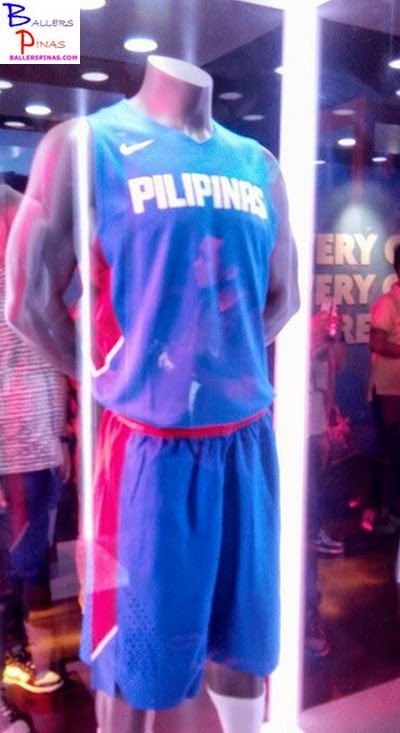 Nike Unveils Gilas Pilipinas ' New Uniforms For The FIBA Basketball World Cup 2014: Check Out The Photos/Pictures Here! "National colors and design evoke love of country and passion for the game." 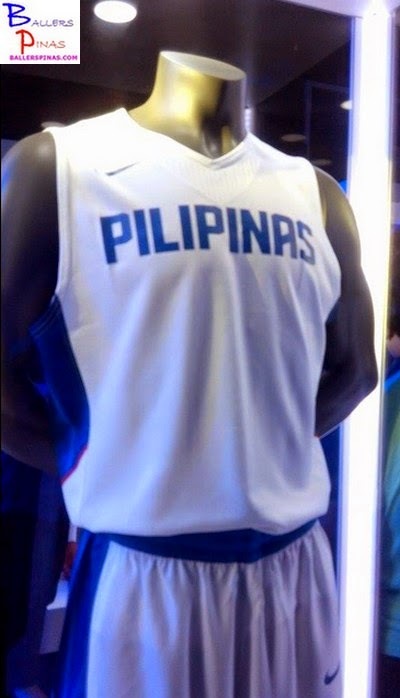 JUNE 26, 2014, Manila – Nike unveiled the Philippines National Basketball Team uniform for the 2014/2015 season last night with the members of the Gilas Pilipinas team and Coach Vincent “Chot” Reyes before media, the Basketball Federation of the Philippines, and associates of Nike and the federation. The team will debut the uniform on-court at the 2014 FIBA Basketball World Cup in Spain in August this year. The new uniforms made of Nike Sphere fabric are more lightweight, breathable, and durable. Sphere flocks the interior for sweat management; articulated armholes provide a better and easier range of motion; and laser cut perforations provide ventilation throughout the kit. “The new uniforms are lighter in weight, which is an advantage for us when we play. Together with the heat management, the uniforms will keep us comfortable through the games,” said LA Tenorio, point guard for the Gilas. The new uniform is as bold and daring as the players are when they take to the court. 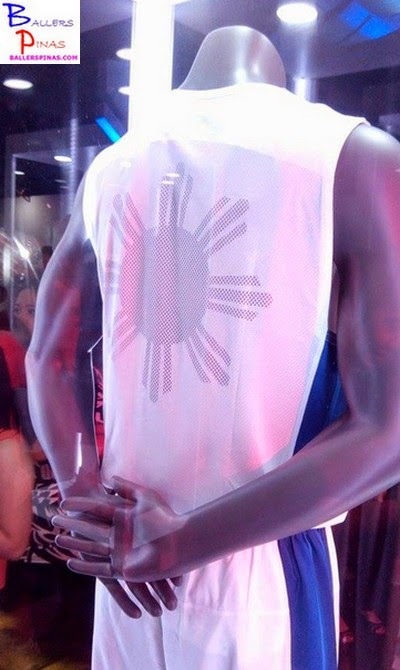 Aside from “Pilipinas” emblazoned in thick, vibrant letters on the front, the latest uniforms portray an aerographic design on the back that shows an image of the eight-rayed golden sun found on the Philippine flag. The graphic element from the Philippine flag was included to provide an inspirational and motivational point for the team who are going to battle it out against the best basketball teams in the world in Spain, a country that the Philippines has had a long history with. Coincidentally, the eight rays around the sun represent the first eight provinces that started the Philippine revolution in 1896, which was against the Spaniards. There could be no greater coat-of-arms than this eight-rayed sun for this year’s World Cup as it symbolizes the rich and proud history of the Philippines and Spain. “Basketball is more than a sport for Filipinos. It is in our blood, our DNA, woven into the Filipino culture. The new uniforms will be worn with pride, on the world stage in Spain as we show the world what Filipino basketball is all about and bring pride to the Philippines” said Coach Chot. Tonal shades of bold red and blue are the final touches tailored to bring spirit and vigor to the uniforms, as the Gilas Pilipinas continue to work their way to the top of the basketball world. 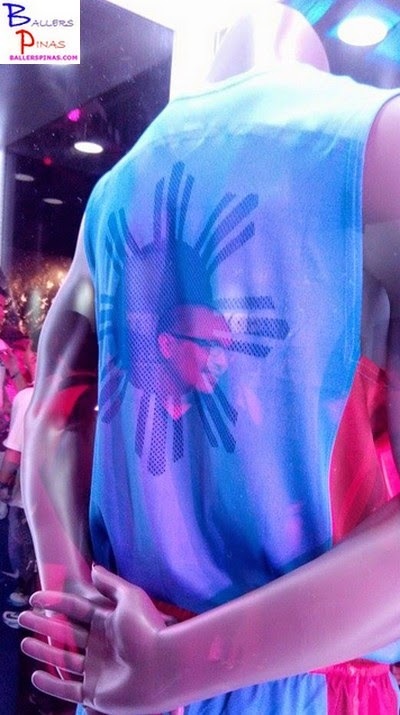 “Nike is inspired by the team and their quest for glory that has brought back the pride in Philippines Basketball. We hope these uniforms will likewise inspire the team and help them to do great things in the upcoming competition,” said Courtney Cole-Faso, Nike Philippines Country Manager. The team was presented with a unique gift of shoelaces with handwritten messages by a selection of youth fans fromMetro Manila. The youths hope that by carrying these messages, the team will feel the support of the nation during their time in Spain. Hi, Im from Canada & I've been looking high & low to find these jerseys. Please help me buy and ship out to Northern part of the globe! Go Gilas! Hi. We have this jersey. Brand new> 4,000 Php only plus shipping fee to ur place. You can deposit the payment via paypal. What's your facebook account?